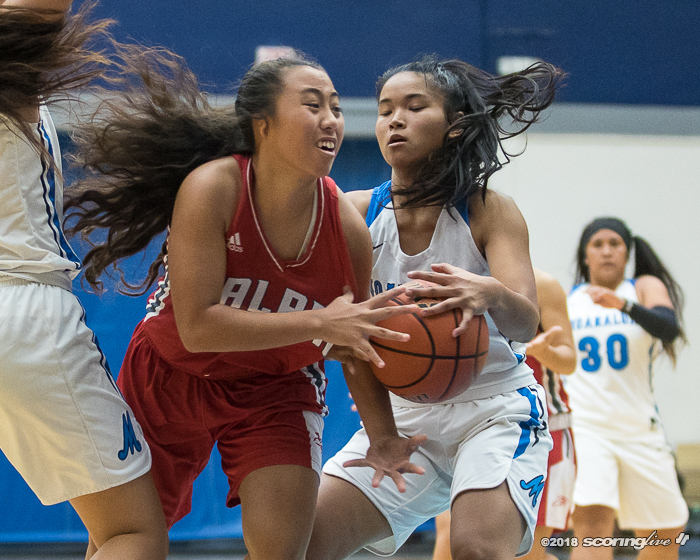 SALT LAKE — When its outside shot wasn't falling, defending league champion Kalani turned up its defense for a 51-28 win over host Moanalua to begin OIA East play Wednesday night. 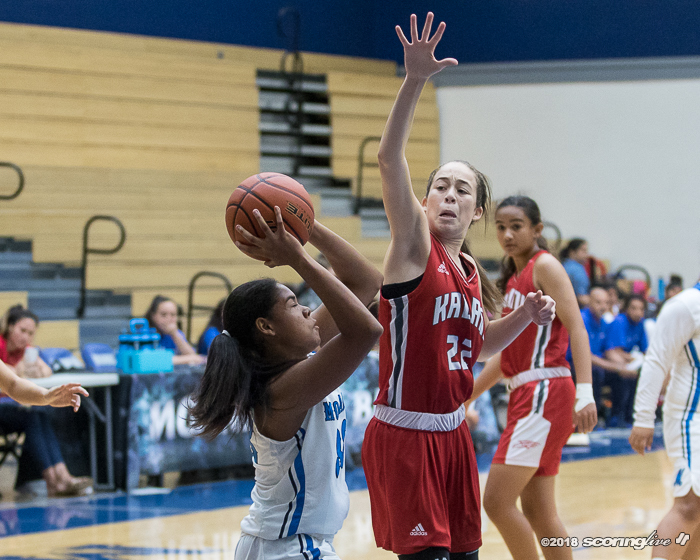 The Falcons (9-2, 1-0 OIA East) faced a 12-4 deficit to start the contest, but utilized a press defense that wore down Na Menehune (3-5, 0-1) in a rematch of last season's OIA Division I title game. 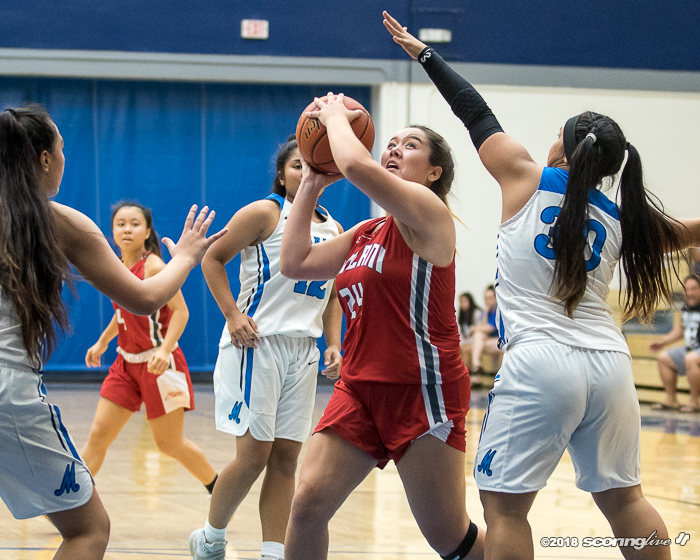 A 10-0 run to start the second quarter capped by a steal-and-finish by Alayna Akiona gave Kalani a 16-12 lead forcing a Na Menehune timeout. 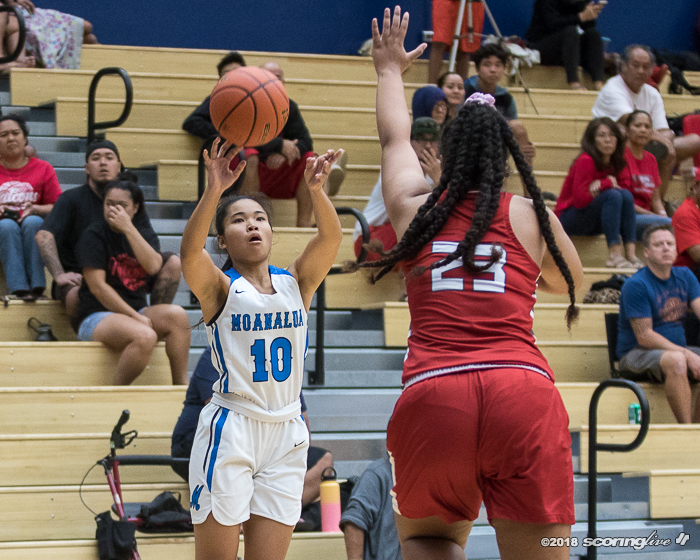 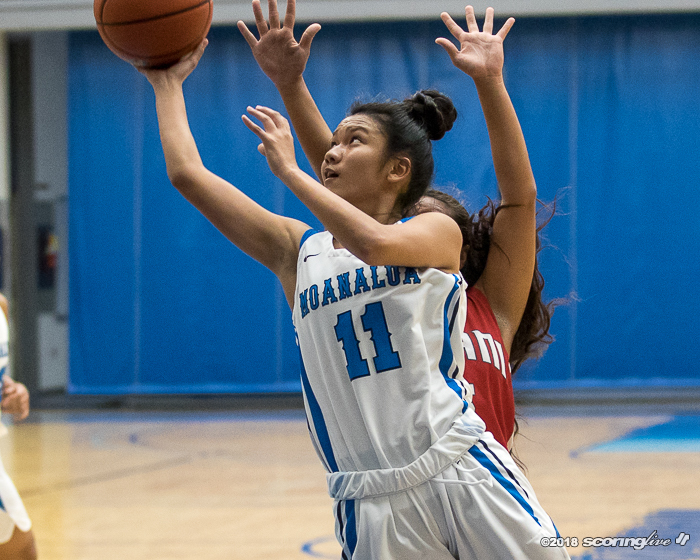 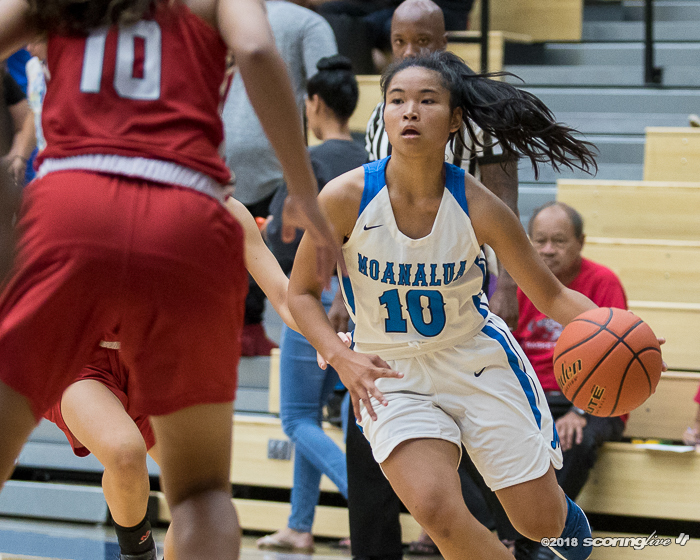 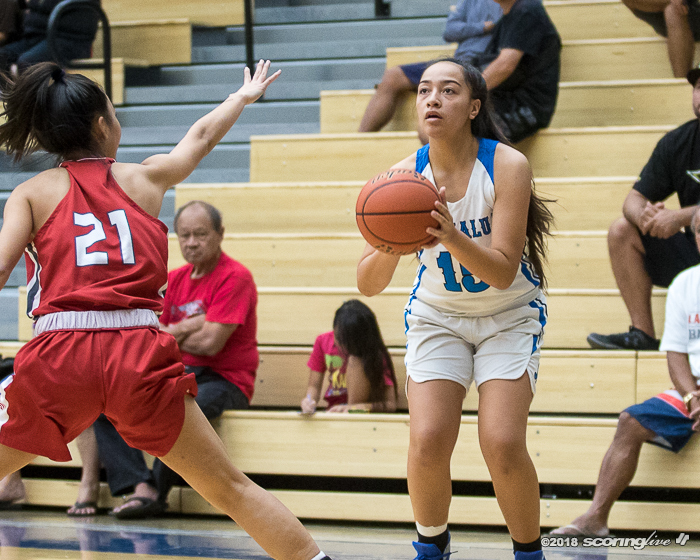 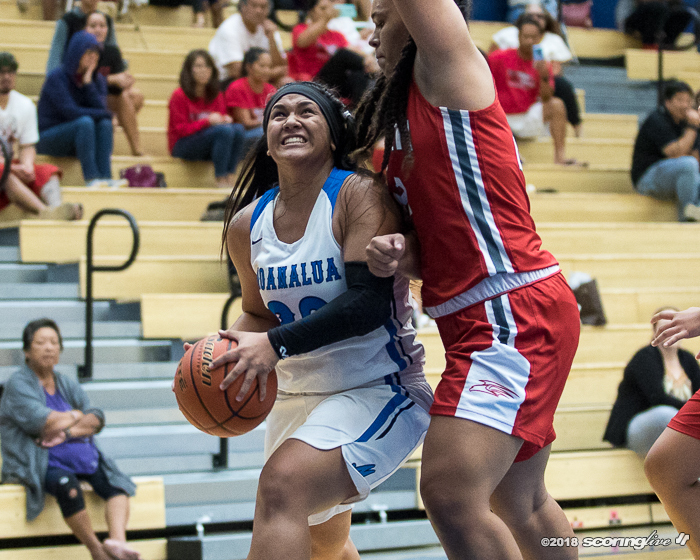 Moanalua hung around early in the second half, but a pair of putbacks and a steal-and-score by Lilehina Oyama gave the Falcons a 10-point lead that kept on growing until the final buzzer. 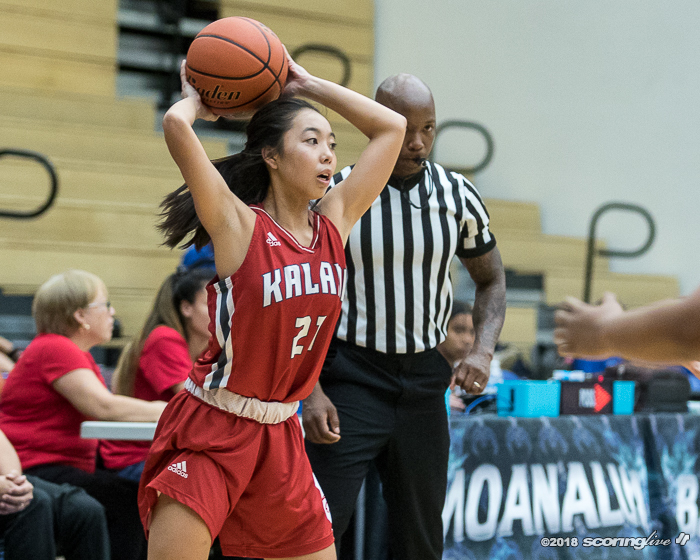 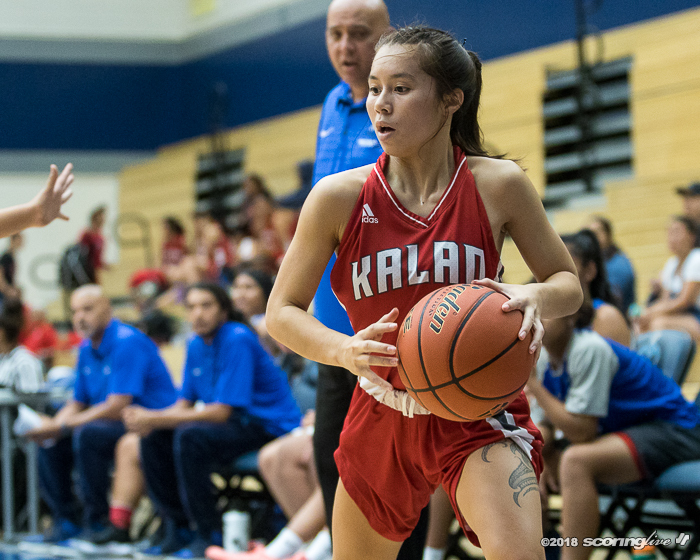 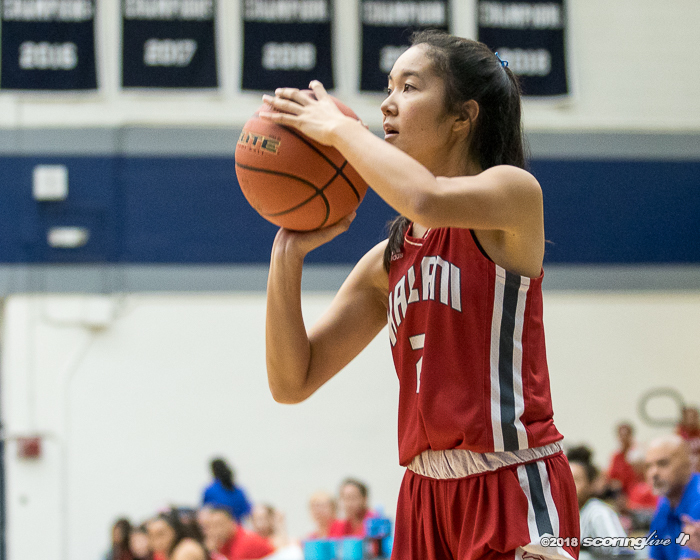 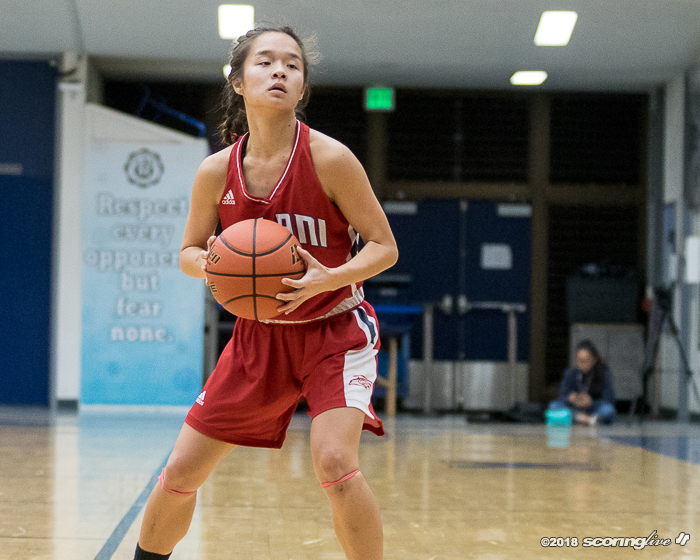 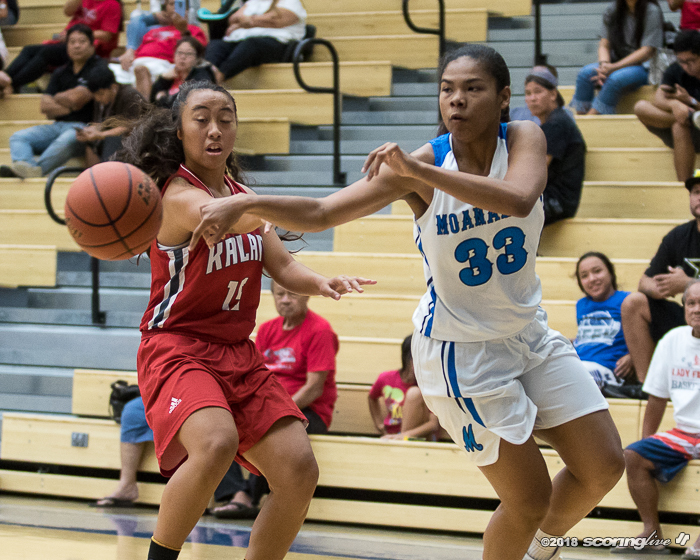 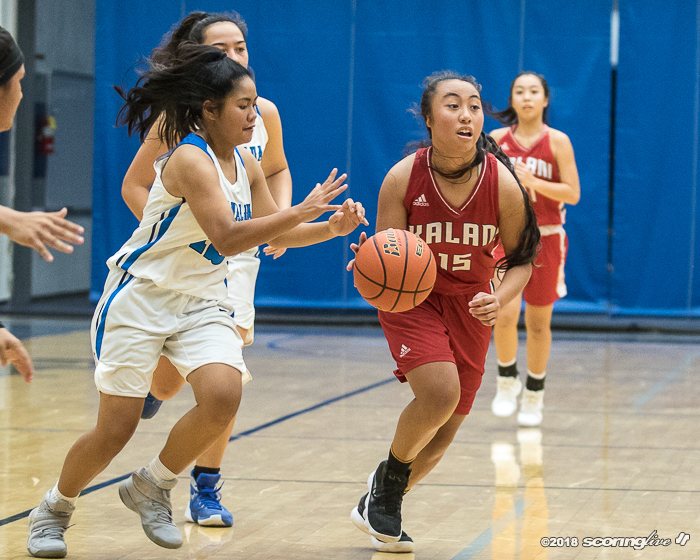 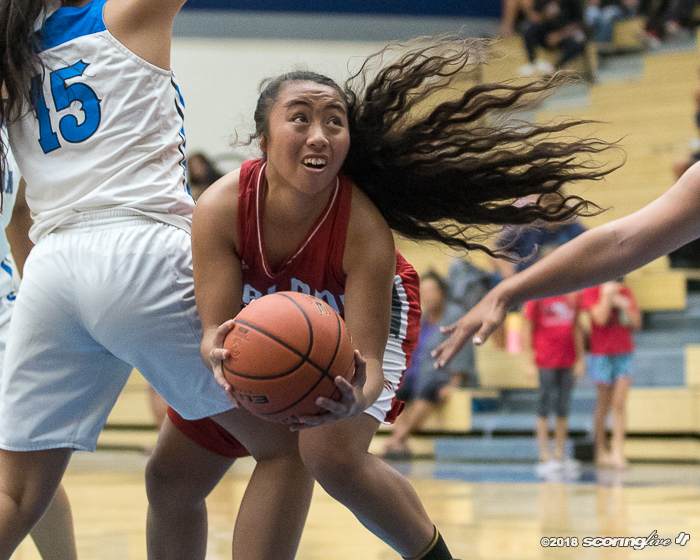 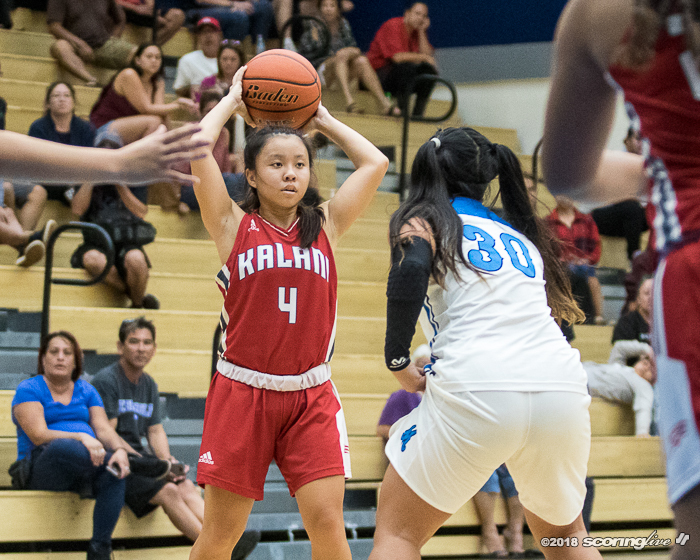 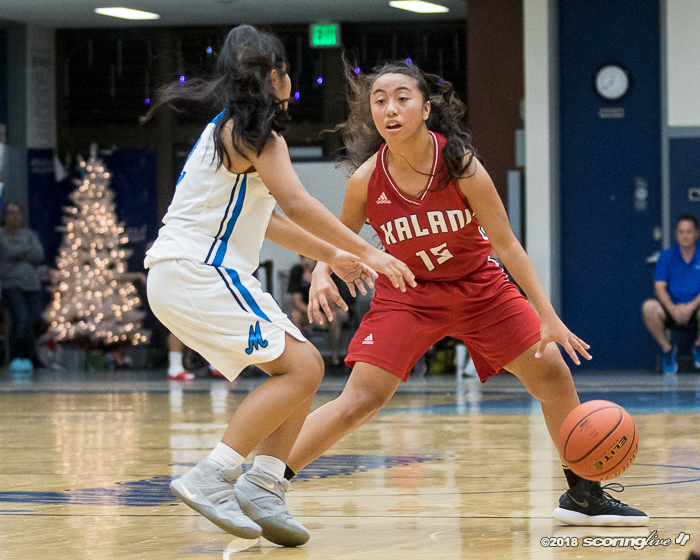 "Our style of basketball is we're going to press you, and it showed in the second half," said Kalani coach Chi Mok. 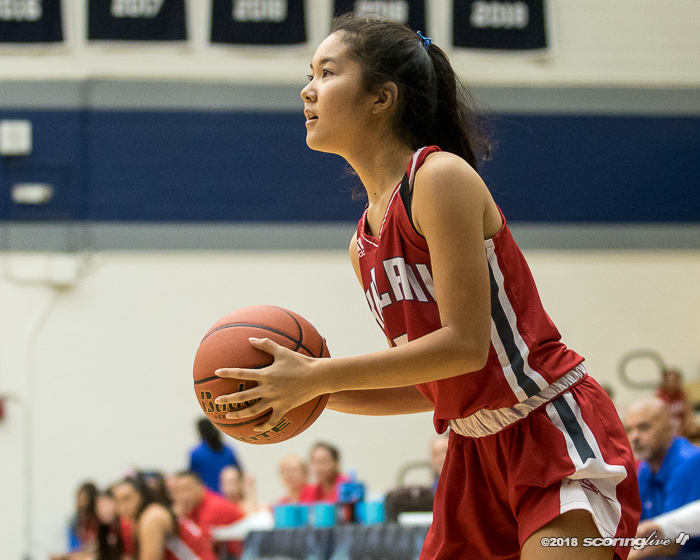 "We preach to the girls that our best offense is our defense." 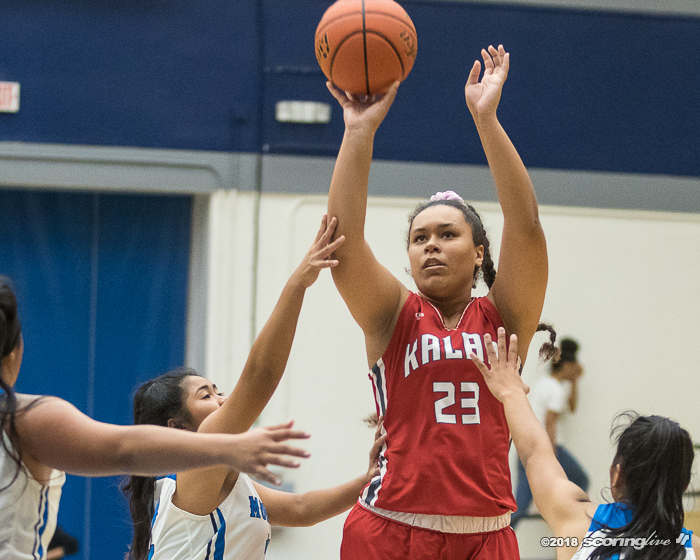 Kalani also played without leading scorer leading scorer Kamalu Kamakawiwoole, a transfer from Maryknoll. 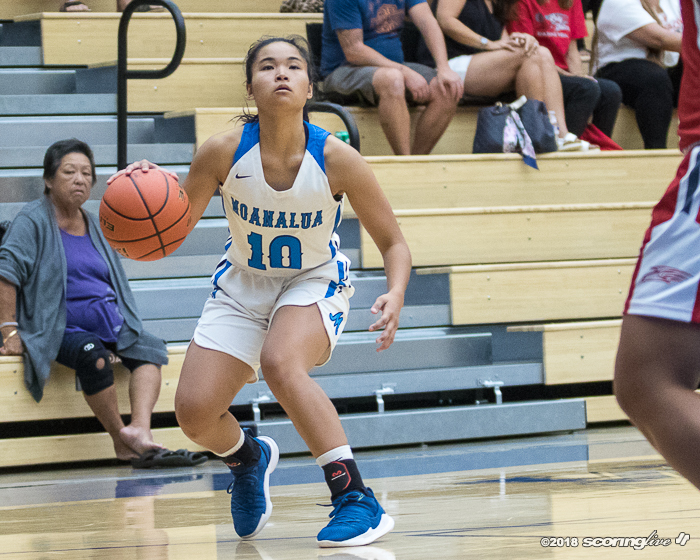 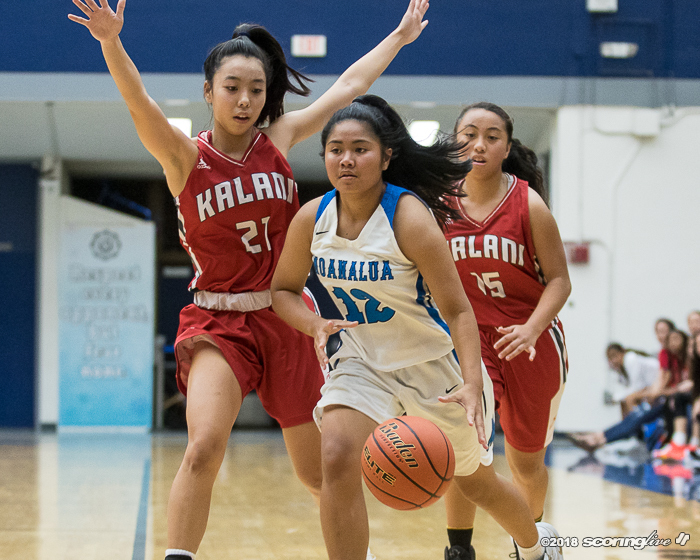 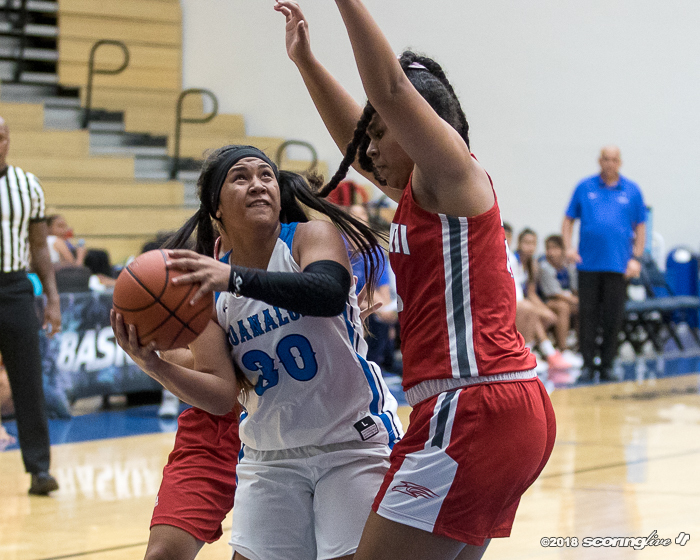 Kamakawiwoole averaged 17.4 points per game heading into the contest, but sat out against Moanalua after injuring her nose in a 50-41 win over Lahainaluna last Saturday. 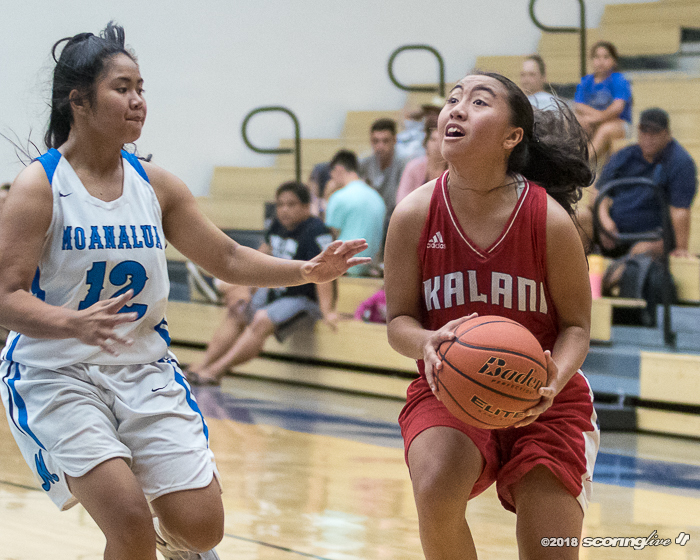 Akiona stepped up in Kamakawiwoole's absence, scoring 13 points in three quarters of play. 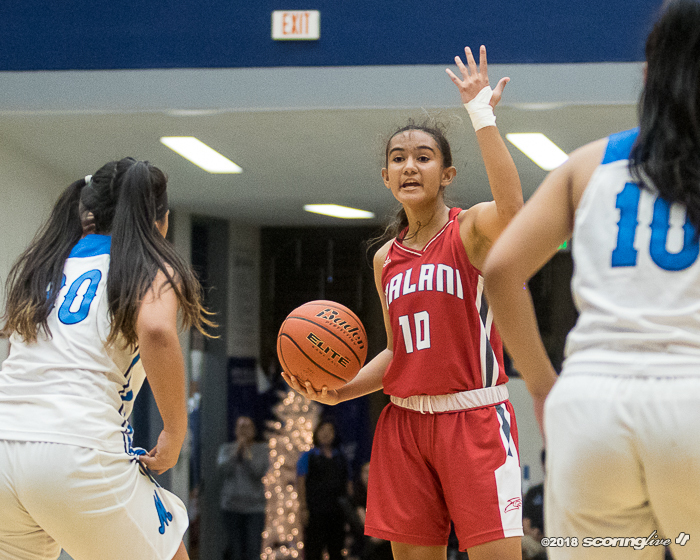 She scored all of the Falcons' six points in the first quarter before the rest of the team started to get going. 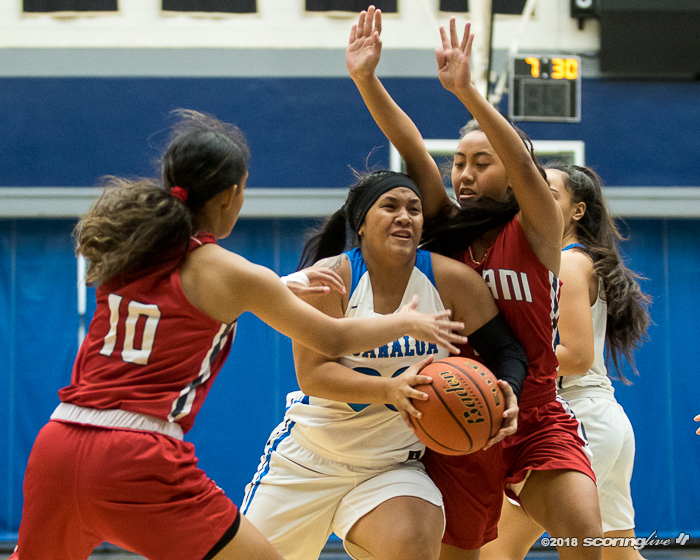 Akiona did not play in the final period of play and had to ice her right cheek after diving for a loose ball late in the third quarter. 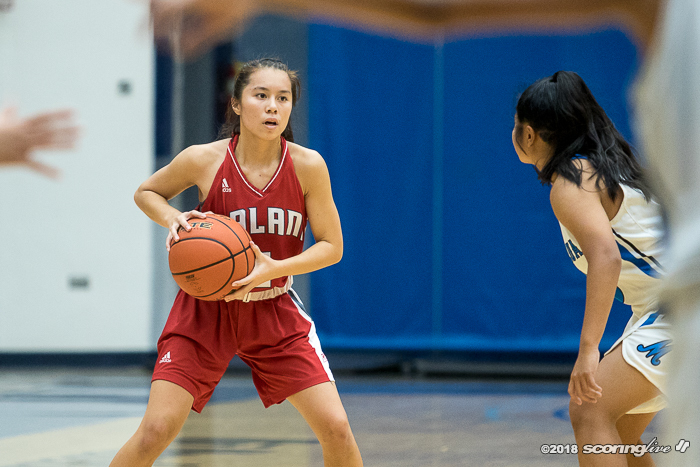 Kalena Halunajan also had 13 points for the Falcons. 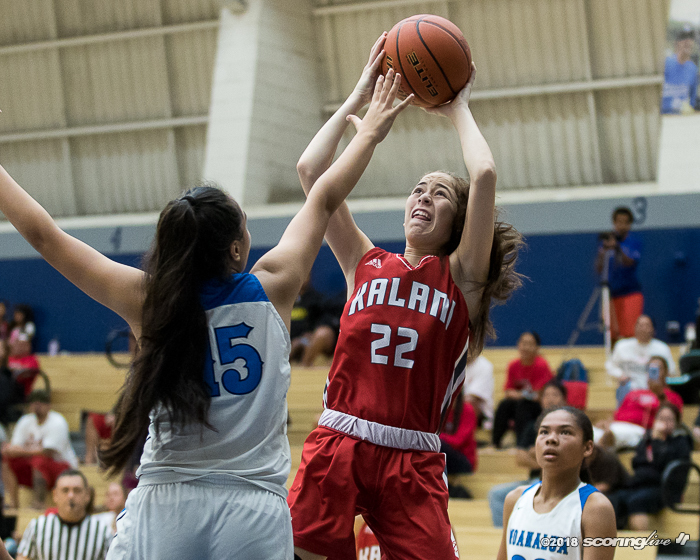 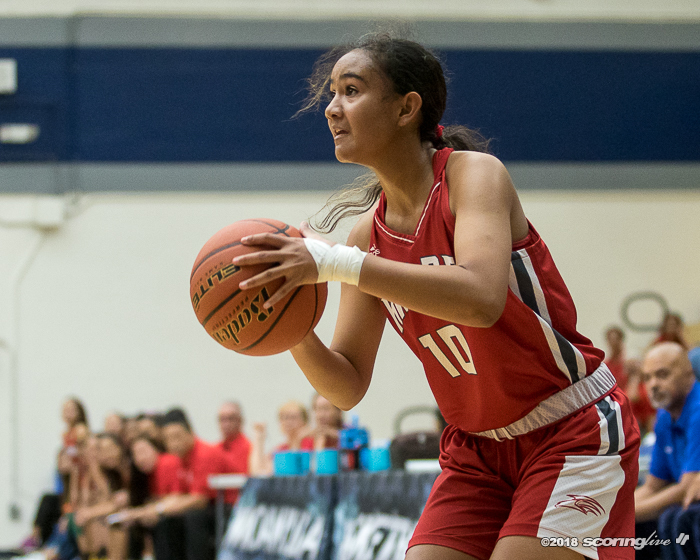 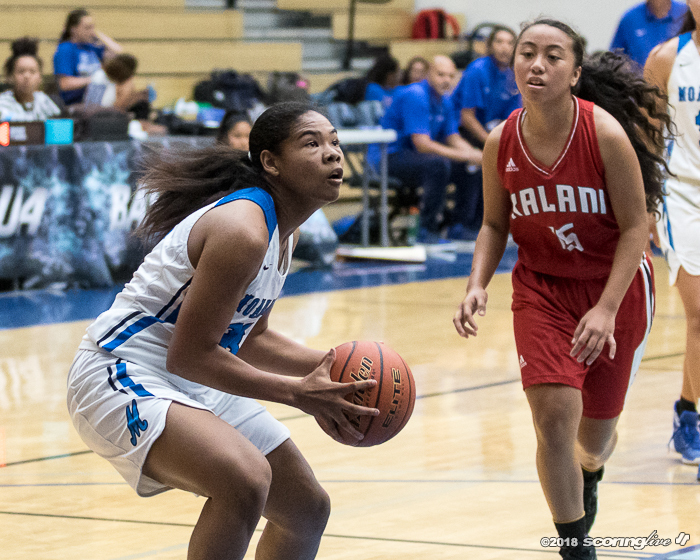 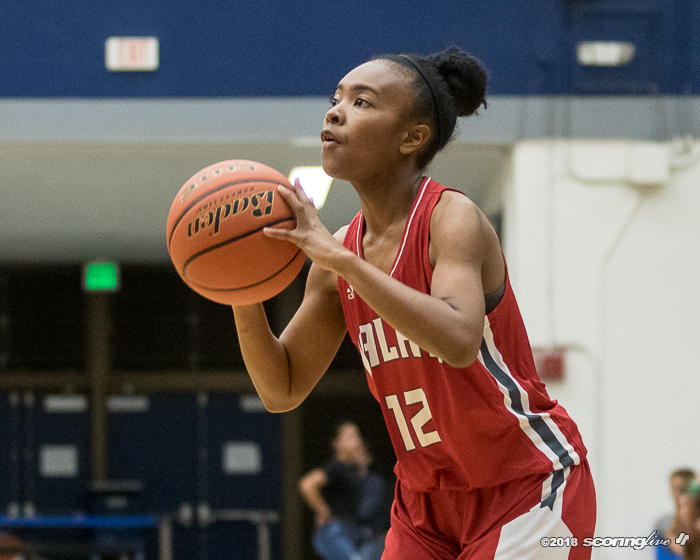 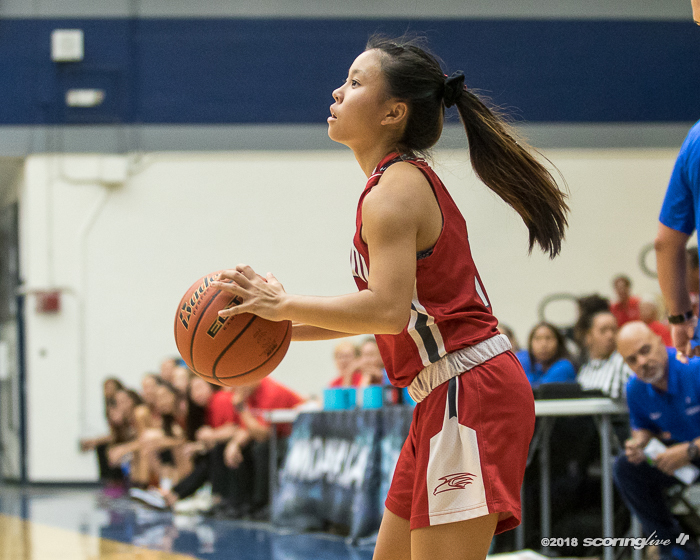 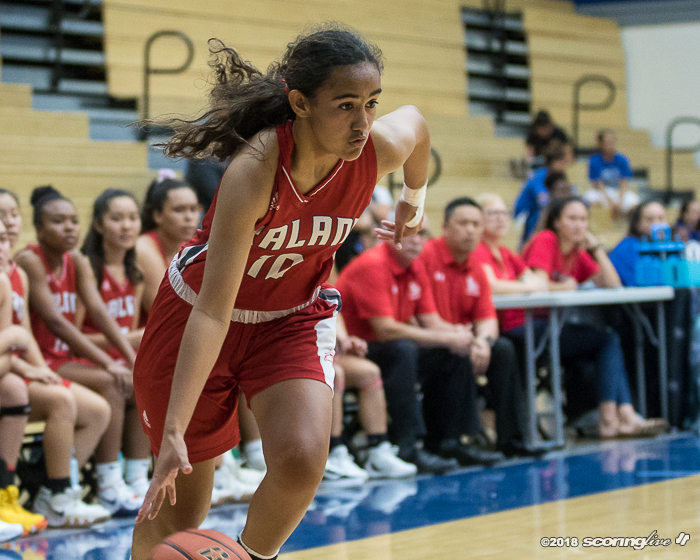 Daesha Viela added five points, including a 3-point shot that gave Kalani the lead for good, 14-12, in the second quarter. 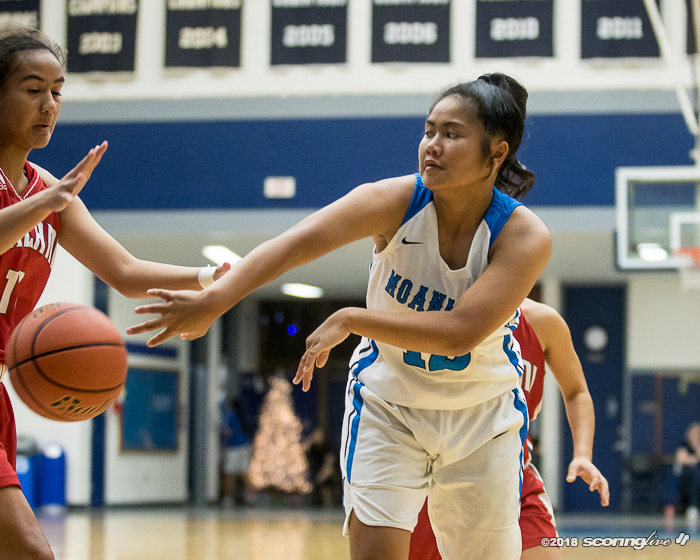 Raven Rosa-Lasco scored 12 points as the leading scorer for Moanalua, who shot 6-for-16 at the free throw line.